Last month, 45 Pueblo juniors and seniors contacted school nurse Ms. Kate Straub about the Pima Prevention Program, which could provide them with a job opportunity working with Pima County. 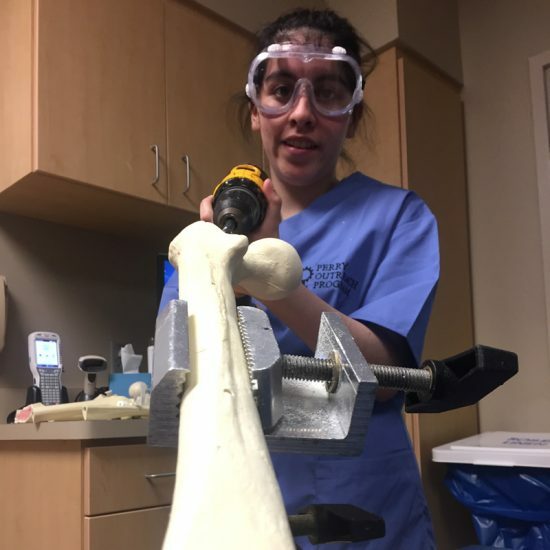 According to Straub, joining the program could benefit students who are in need of a job and/or are interested in an array of different fields, such as law, medicine and law enforcement. 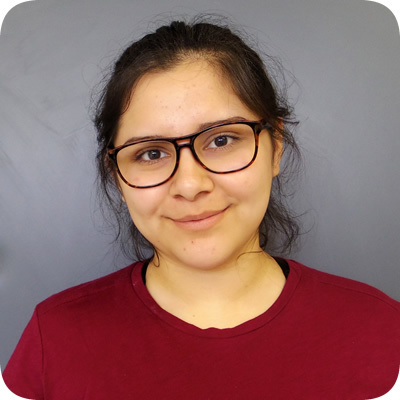 Straub said that this program is preferred for students who meet the following requirements: they should speak English as a second language, get free or reduced lunch or come from families where they are the first to graduate from high school or the first to apply to college. She added that there are only 45 spots to fill; students need to fulfill criteria with age, credits and grades. Only 45 juniors and seniors between the ages of 16 and 21 can be a part of the Pima Prevention Program, Straub said. She added that students must have at least 12 credits in order to be eligible and need to be on track to graduate. Students will train for this position on Tuesdays and Thursdays and one Saturday a month. In the end, they will be guaranteed a paying job at Pima County during the Summer of 2017. Straub recommends that this program could also benefit students who are unsure about career plans. The Pima Prevention Program will determine which students are eligible according to their job applications. Walter Cronkite Comes To Pueblo—Again! 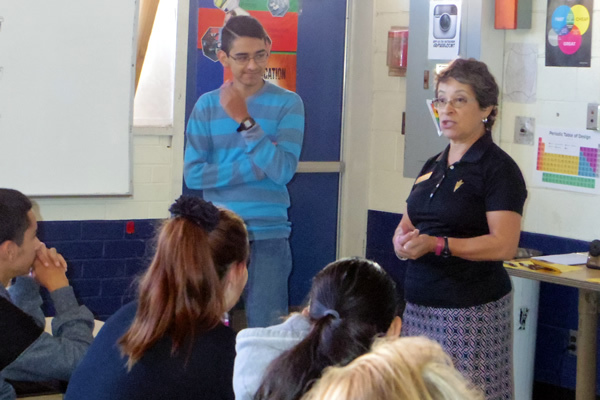 On Monday, November 14, 2016, Ms. Anita Luera, the director of ASU’s Walter Cronkite School of Journalism for high school students, spoke to more than three dozen students in Mr. Rana Medhi’s journalism and Ms. Marie Little’s yearbook programs at Pueblo Magnet High School, primarily discussing the value and power of journalism in our society today. She also promoted the upcoming 2017 Summer Institute at ASU for all students interested in media careers. Students can begin applying for this program as early as January. Ms. Anita Luera speaks to our yearbook students with Victor Garcia sharing his experience. 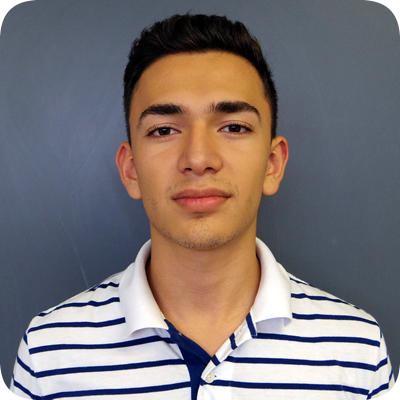 Pueblo senior Victor Garcia was encouraged by his media teacher last year, Ms. Pamela Shapiro, to apply—and eventually be accepted to attend the Walter Cronkite School of Journalism Summer Institute last summer. Garcia said that he wanted to explore the modern facilities of the school as well as its technical parts, including the contemporary newsrooms. 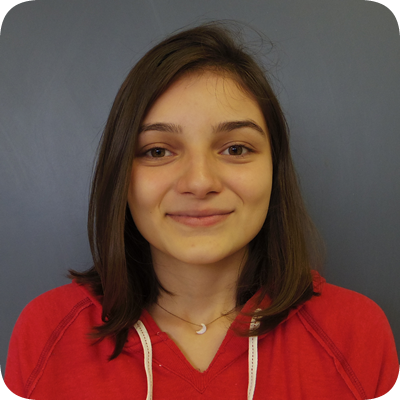 For two weeks, Garcia worked with other students from mostly Arizona, as well as one student from France. Garcia said that he hasn’t firmly committed to a collegiate major, but at this time, he is exploring an option in public policies—somehow involved in the political world. Luera visited a few other media programs, including radio (with Ms. Sarah Wilson and her students) as well as photography (taught by Ms. Emma Tarazon). This is Luera’s ninth year of visiting Pueblo Magnet High School, speaking to hundreds of students over the years. Anita Luera, a long-time journalist and past president of the Arizona Latino Media Association, is the first director of high school journalism programs for the Walter Cronkite School of Journalism and Mass Communication at Arizona State University. Luera oversees an expanding array of high school programs, including national training institutes for high school journalism teachers and students. She also leads school’s outreach programs to high schools around the region that are working to develop and improve their journalism programs. Posted on November 15, 2016 Categories Academics, Around Campus, Careers, Journalism, Magnet, Summer ProgramsLeave a comment on Walter Cronkite Comes To Pueblo—Again! 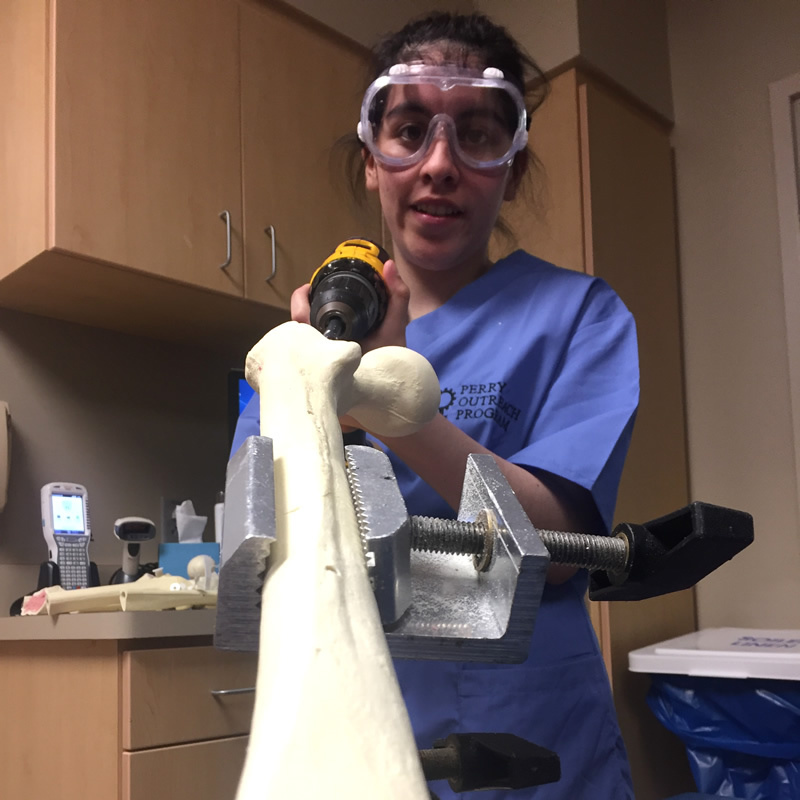 Junior Maria Servellon (Class of 2018) was accepted to the Perry Initiative, a one-day program for young women interested in orthopedic surgery and biomechanical engineering. Servellon is excited to be the first Pueblo applicant to be accepted to this program. 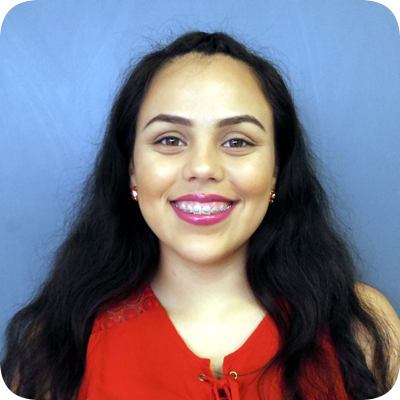 Out of more than 200 applicants in Arizona, Servellon was among just 35 young women to be selected. 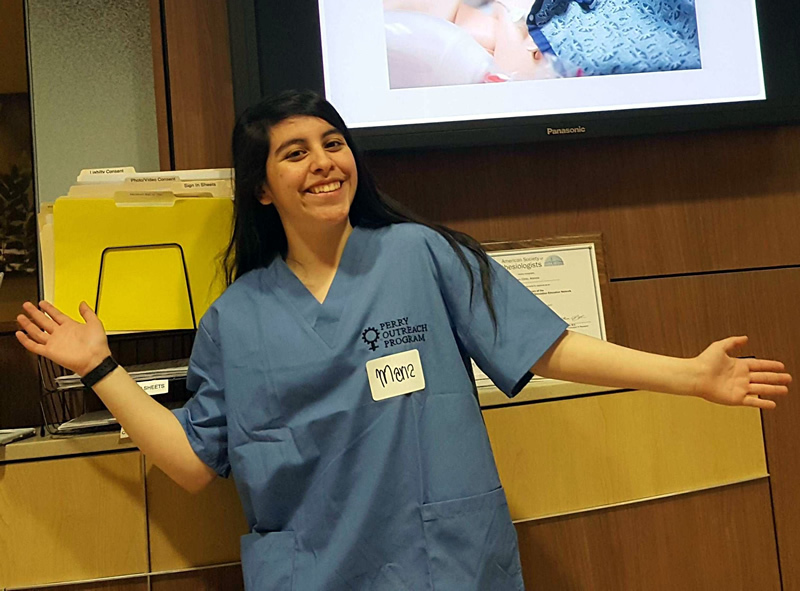 “I feel like being accepted has been a stepping stone for young women who are interested in this field,” she said. On Saturday, September 17, 2016, Servellon attended the one-day program at the Mayo Clinic in Phoenix. Pueblo science teachers Dr. Andrew Lettes and Ms. Elaine Straub accompanied her to this event. The application process consisted of a paragraph on why she was interested in attending this event as well as stating her short- and long-term goals in life. Her former teacher, Dr. Andrew Lettes, is extremely proud of Servellon’s accomplishment and hopes many more females will follow in her footsteps in the future. Lettes said that Servellon’s acceptance into this program is a validation that anything is possible if you believe in yourself and are motivated enough. 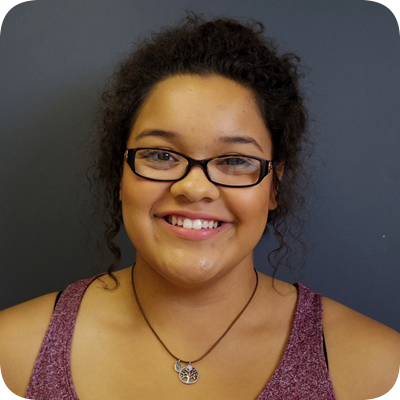 Servellon is open to all sciences and hopes this experience will help guide her towards her future career. She said that she would like to help in the efforts to develop more effective plastic hearts to those who are in desperate need of heart transplant. 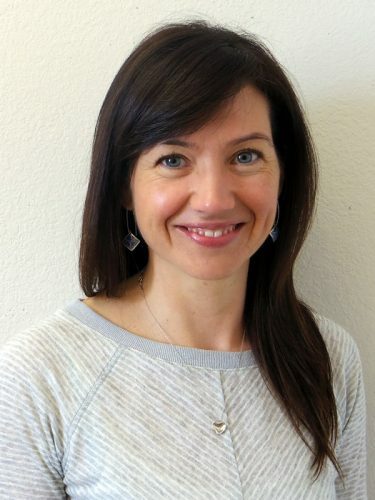 Servellon said that she is starting to investigate colleges and universities to pursue her medical education, and she is curious about the University of California at Berkeley, which is her original home. On Oct. 18, Servellon will be recognized and honored by T.U.S.D. Superintendent H. T. Sanchez during the Governing Board meeting. Servellon has been asked to invite her family to this special occasion. 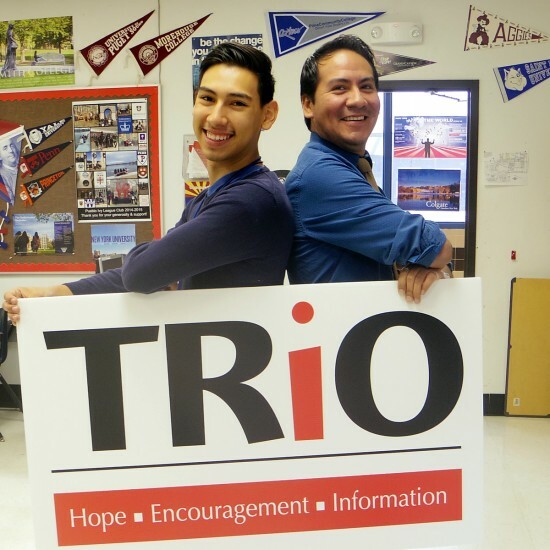 Among all of the great resources this school has to offer, one of the greatest is Mr. Carlos Gonzales, Jr., who is Pueblo’s Trio Educational Talent Search Program Coordinator. TRiO Program Coordinator Carlos Gonzales (right) with Iram Arce. Gonzales is here on campus as a college advisor for Trio students three days out of the school week; he can be found either in the College and Career Center or in the library. TRIO is not an acronym and actually stands for the word “Three”, which represents the three parts of the TRIO program: Upward Bound, Education and Student Support Services. Gonzales said that he specializes in the second program. He focuses on preparing students for applying for colleges, looking for scholarships, and helping students to choose the best college for them.